New Delhi: Indians usually 'bleed blue' with cricket fever, but the ongoing FIFA World Cup has the nation donning yellow, green, red and white as Indian supporters cheer for their favourite teams in the team jerseys. Sale of team jerseys, as well as that of footballs and other gear, have seen strong growth on various e-commerce platforms in India over the last two weeks with Argentina, Germany and Brazil emerging as the top favourites. 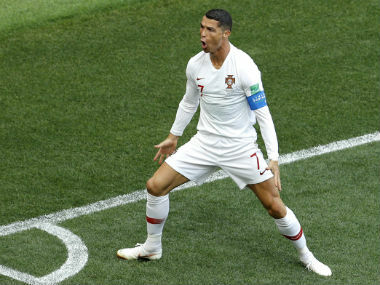 And it is no surprise that customers are keen on getting their hands on jerseys of football stars like Cristiano Ronaldo (Portugal), Lionel Messi (Argentina) and Neymar Jr (Brazil). Maity added that merchandise associated with players like Neymar, Messi and Ronaldo are particularly in demand and the company expects the trend to strengthen as the tournament progresses. ShopClues said its platform has seen an average sale of around 4,000 footballs per day for the last 16 days. "Other merchandise like jerseys etc have also seen a spike. We are selling about 300-350 fan jerseys every day," the spokesperson said. According to Snapdeal, there have been a big jump in demand for football-related merchandise on their platform from Delhi-NCR, Mumbai, Goa, Chennai, Kolkata and the North-eastern markets. Interestingly, Snapdeal has also seen a spike in the sales of bean bags, recliners and home theatre systems, indicating that viewers are looking at cheering for their favourite team from the comforts of their homes. And its not just the men who are hooked on. According to Flipkart VP (Fashion) Rishi Vasudev, about a third of its football-related merchandise is coming from women. "Clothing and jerseys have seen close to 20x jump in sales with 95 per cent of sales in jerseys and fan t-shirts alone... Flipkart this year saw an opportunity and stocked official merchandise for men, women and kids. This has paid off with a third of the sales coming from women's merchandise," he noted. Rival Amazon has seen similar trends with shoppers looking for not just jerseys but also training equipment, shin guards, nets, football video games, collectibles like bobbleheads and even referees' whistles. To cash in on the frenzy, it has gone a step ahead and trained its Alexa-powered 'Echo' smart speakers to not only offer match updates but also provide interesting tidbits so users can ask "Alexa, what country has won the most World Cups?"